I buy a lot of books, this includes a load of books with motorcycle related images. 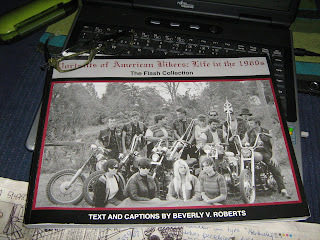 This last one don`t show many bikes but it show some great captures of 60`s 1% biker lifestyle wich by no doubt was tough. There are no weekend bikers in this book.